You've probably heard from other patients that switching from Levothyroxine to Tirosint made all the difference. Considering that they are both T4 only thyroid medication, what is the difference between these medications? Why do some patients have decreased symptoms, lose more weight and feel better on Tirosint but not on Levothyroxine? Is there a difference between this thyroid medication compared to the others? *Special note: I have no affiliation with the makers of Tirosint or receive payment from them in any way. 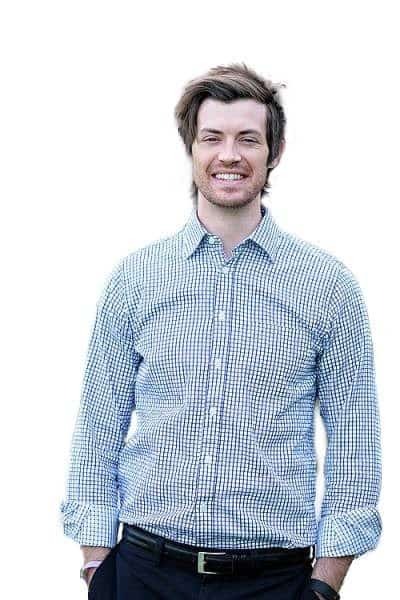 I am simply sharing my experience using this medication in hopes to help others. Who Should Consider Using Tirosint? Does Tirosint Cause More Weight Loss Than Levothyroxine or Synthroid? Is Tirosint a T4 Only Thyroid Medication? Can Tirosint Cause Weight Gain? Can it be Used with Other Thyroid Medications? Can Tirosint be Taken with Supplements or Vitamins? Does Tirosint Have Any Side Effects? How Much Does Tirosint Cost? ​As mentioned previously Tirosint is a T4 only thyroid medication. That means that it contains only the T4 thyroid hormone known as thyroxine. T4 thyroid medications are the most commonly prescribed medications used to treat hypothyroidism and other medications in this class include Synthroid, levothyroxine, and Levoxyl. So, what makes Tirosint different? The primary difference between Tirosint and other T4 medications is not in the active ingredients but in the inactive ingredients. This medication contains the fewest inactive ingredients compared to all other formulations. We'll talk about why this is important in a minute but first, let's spend some time talking about T4 medications in general. ​If you've read my blog before you probably know that I've spent a lot of time and energy writing about how T4 only thyroid medications generally don't work well for many patients. And this general unhappy feeling is not just seen on my blog (1). Well T4 thyroid hormone is not an active thyroid hormone. The only active thyroid hormone is T3 otherwise known as triiodothyronine. And in order to create T3, your body must use T4 as a substrate and precursor hormone. So, many health providers give patients T4 thyroid hormone with the hope that the body will be able to naturally take care of this conversion process. The problem with this logic is that under special circumstances the body will actually produce reverse T3 (the antithyroid metabolite) instead of T3 hormone. This is the primary reason that many thyroid patients simply don't do well on T4 only thyroid medications. It turns out that many patients would probably do well on T4 thyroid medication IF (and this is a big if), it was being absorbed properly AND if they don't have any negative reactions to the fillers/inactive ingredients in the thyroid medication. And that's where Tirosint comes into play. ​All T4 thyroid hormone medications contain the active ingredient T4, what they differ in is the inactive ingredients. And many people are sensitive to these inactive ingredients. It's these inactive ingredients that change the absorption of the hormone or simply cause reactions themselves. This reaction can trick patients into wrongly believing that their medication doesn't work or that that hypothyroidism isn't the cause of their symptoms. Well, that's exactly how Tirosint works. Tirosint contains the fewest inactive ingredients (3) out of all of the T4 only thyroid medications and many patients have reported an improvement in overall symptoms when switching (4). Why do you think these patients notice an improvement when switching? Is this medication magically better than Levothyroxine or Synthroid? No, it's a matter of absorption and in the GI tract of the thyroid hormone and a reduced risk of negative reactions to the fillers. And much of this change has to do with the ingredient list (including both active and inactive). To illustrate this point let's go over the ingredient list of these medications quickly. ​As you can see Tirosint has 1 active ingredient and 3 inactive ingredients for a total of 4 ingredients total. 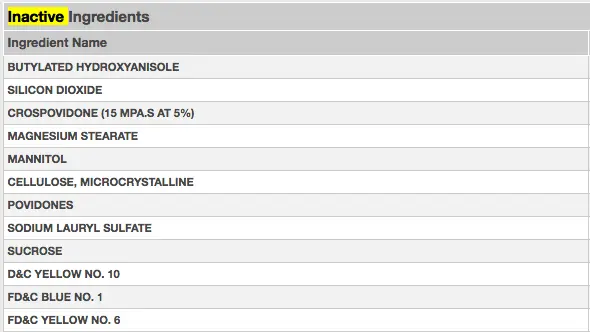 As you can see levothyroxine has a huge list of inactive ingredients. It is these inactive ingredients that alter absorption and therefore influence the amount of thyroid hormone that makes it into your body. These variables make it difficult to determine if any negative symptoms you may experience with a thyroid medication are due to the hormone or due to the inactive ingredients. 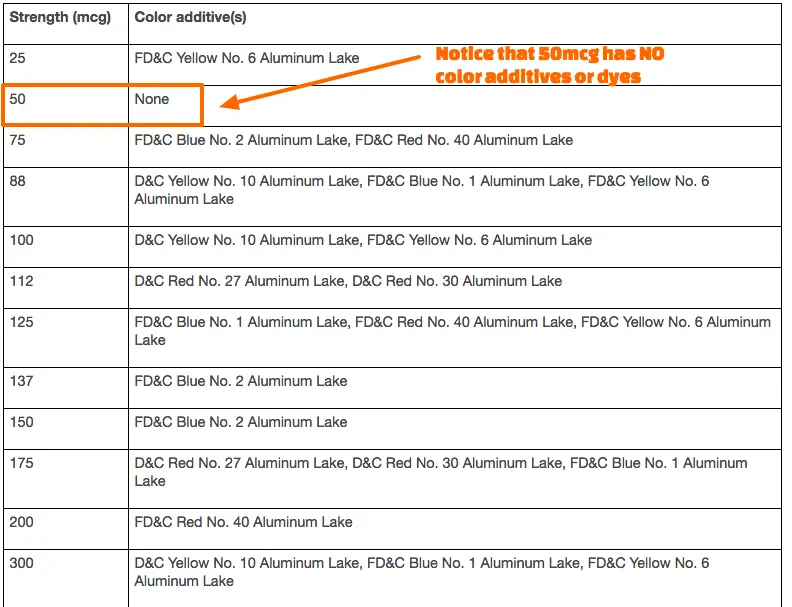 Below is the list of fillers, dyes, and additives to each dose of Levothyroxine. You can see that the 50mcg dosage does not have any extra dyes, so if you can't switch medications from levothyroxine to Tirosint (due to price or some other reason), it would be worth a trial of switching to a 50mcg dose. In fact, when I dose levothyroxine I almost exclusively use the 50mcg dose because of this. If you are on 125mcg of Levothyroxine then using 2.5 tablets of 50mcg may improve your symptoms versus using the 125mcg tablet. This may require that you take more than 1 tablet, but it's worth the price if you start to feel better. ​Does this mean that every patient on Levothyroxine who is still feeling symptomatic should switch to Tirosint? No (nothing is ever that easy! ), but there are a few patients who should strongly consider making the switch to Tirosint if they are on Levothyroxine or Synthroid. Patients with gastrointestinal issues including (but not limited to): Low stomach acid, acid reflux, SIBO/SIFO, IBS, IBD, and any GI related surgery (including gastric bypass). Patients who don't tolerate Synthroid, Levothyroxine or Levoxyl, or who have experienced any of the likely negative reactions to inactive ingredients. Patients taking-acid blocking medications such as proton pump inhibitors (6) - Tirosint has been shown in studies to not be affected by changes in stomach acid. Patients who have undergone bariatric surgery (7). Patients with multiple food allergies or sensitivities to multiple foods. Patients with gastroparesis or damaged intestinal motility (8). Patients with increased intestinal permeability. Patients who don't tolerate NDT medications or are too sensitive to T3 containing medications. Patients who are extremely sensitive to medications and supplements or who react to these substances at very low doses. Patients who have experienced some improvement of Levothyroxine or Synthroid but still have room for improvement. Patients who can't take levothyroxine on an empty stomach or who drink coffee in the morning (9). ​This list should serve as general and broad guidelines for who should consider switching to Tirosint. One important point I want to expand on is the implication that gastrointestinal problems have on thyroid hormone (and other nutrients). Hypothyroid patients (yes even those already on thyroid medications but still with symptoms) are in a tricky situation. Thyroid hormone is required for proper stomach acid (HCL) production (10) and HCL is required for proper thyroid (and other nutrients (11)) hormone absorption. This means that if you are being undertreated then there is a chance that you are also not fully absorbing thyroid hormone and/or other nutrients - making your problem worse. This general lack of stomach acid can also worsen or create other intestinal problems which make absorption even worse. This may explain why some studies show that up to 50% of hypothyroid patients have SIBO (12), or why up to 40% of hypothyroid patients have vitamin B12 deficiency (13). ​The point is that these GI problems are very important and contribute to a reduction in absorption of not only oral thyroid hormone medications but also nutrients which can worsen symptoms. It's worth taking some time to point out that replacing thyroid hormone doesn't necessarily reverse these conditions and taking extra steps to treat these GI problems if present will be necessary for many patients. ​I get this question from many patients in some form and the answer is that yes, it might cause weight loss in some individuals. This is only true if your body has no issues with the conversion process of T4 to T3 and if your problem with levothyroxine was a lack of absorption. If the change from Levothyroxine to Tirosint results in an overall increase in thyroid hormone in the body, and the conversion of T4 to T3, then yes, Tirosint may result in weight loss. This makes the huge assumption that your body has no issues with converting T4 to T3 and this is a very big assumption to make. We've spent time focusing on the absorption issue, but in reality, this general lack of absorption and reaction to inactive ingredients probably represents 20-30% of patients. You can read more about why levothyroxine can actually contribute to weight gain here, and you can read more about how to use Synthroid and levothyroxine for weight loss properly here. This is probably the best way to use Tirosint and this is how I use it effectively in my practice. Tirosint by itself usually results in a reduction of overall hypothyroid symptoms due to superior absorption, but this effect is multiplied by the addition of T3 containing thyroid medications like Cytomel or liothyronine. Other thyroid hormones and medications can safely be added to Tirosint, but remember that general rules for taking thyroid hormone still apply. That means don't take Tirosint with food, avoid taking supplements or vitamins at the same time as Tirosint and so on. ​One of the best parts about switching to Tirosint is that most providers won't argue with you about the change. Tirosint is still a T4 only thyroid medication and using this medication fits into the current paradigm of thyroid treatment (however flawed this paradigm might be). Nowadays it's also becoming more commonplace for providers to add lower dosages of T3 to T4 thyroid doses. So switching from say 125mcg of Levothyroxine to 100mcg of Tirosint + 5-10mcg of Cytomel is becoming more commonplace than say switching from 125mcg of T4 to 2-3 grains of NDT. Is there a difference in dosages between these two medications? While both contain equivalent dosages and concentrations of thyroid hormone, some patients do find that switching over may result in almost hyperthyroid like symptoms. In my opinion, this results from increased absorption and a flush of thyroid hormone into the body. If this does occur in you, simply slightly reducing the dose is usually enough to control these symptoms. But in general, the dosage between these thyroid hormone medications is equivalent. The bottom line is that many patients stand to benefit from switching to Tirosint from Levothyroxine or Synthroid (and even other forms of thyroid medications). This improvement is felt to be due to increased and superior absorption in addition to a reduction in symptoms related to inactive ingredients. Remember that Tirosint has 1 active ingredient and 3 inactive ingredients making it the "cleanest" thyroid hormone medication. Special interest should be taken in certain patients with gastrointestinal symptoms as these patients tend to have low stomach acid and other nutrient deficiencies. Another huge benefit of Tirosint is that this medication fits the current thyroid treatment paradigm and because of this many providers are more willing to prescribe this medication over other formulations. At the end of the day, you are a unique patient and it may take a combination of time and trial and error to find your optimal dose, but don't give up! With persistence, you will get there. Below I've also included some frequently asked questions that I receive from patients regarding Tirosint. You can use this list if you don't feel that your questions or concerns were answered in the information above. If you have any other questions or comments please don't hesitate to leave them in the comment section below as I check these frequently and I want to keep the conversation going. ​Yes, Tirosint is a T4 only thyroid medication. It does NOT contain T3. Medications that are T4 only thyroid medication include Levothyroxine, Synthroid, Tirosint, and Levoxyl. Medications that contain T3 only include Cytomel, Liothyronine, and SR T3. Medications that contain both T4 and T3 include Armour thyroid, WP thyroid, and Nature-throid. There is no way to know for sure if Tirosint will work for you. In my experience, I've found that most people do subjectively experience a reduction in hypothyroid symptoms when switching to Tirosint even when switching from levothyroxine to Tirosint or Synthroid to Tirosint at the same dose. That doesn't mean it will work for you, but it's certainly worth a 1-2 month trial in most cases, especially if you don't feel well on your current regimen. When trying to optimize and reduce your symptoms it's important to take into account other factors like T4 to T3 conversion, inflammation, and other hormone imbalances. These other factors may be playing a role in why you are or aren't doing well on your current regimen. Like other T4 only thyroid medications, Tirosint can potentially and indirectly lead to weight gain. This usually occurs from improper thyroid conversion and the production of too much reverse T3. Recall that reverse T3 is the antithyroid metabolite and directly competes for binding and cellular activation with T3. The more reverse T3 you have in your body the more likely you are to experience hypothyroid like symptoms (even with a normal or low TSH). Many patients on T4 only thyroid medications also may experience a condition known as low T3 syndrome which is felt to be due to a variety of reasons including lack of thyroid conversion (though this condition doesn't always have high levels of reverse T3). Like other thyroid hormone medications, Tirosint should be taken on an empty stomach in the early morning. You should also avoid supplements and the intake of food for at least 60 minutes after taking it. Some patients opt to split the dose and/or take this medication at night, but these are advanced techniques and depend on symptoms. It is worth mentioning, however, that some studies have shown that Tirosint can be taken with foods (14) which makes it unique among other thyroid formulations. These studies show that taking Tirosint in the morning with food does not impact its absorption. Tirosint can and should be considered, in cases where you may be experiencing nausea when taking your thyroid medication on an empty stomach. Even though it can be taken with food doesn't necessarily mean that you should take it with food, but it's certainly worth considering in certain situations. Yes, Tirosint can safely be combined with other thyroid hormone medications. It is often best used in combination with Cytomel, liothyronine or SR T3. If you are taking vitamins or minerals then it's best to consume these supplements 30-60 minutes after you take your medication. Doing this will help enhance absorption in the gastrointestinal tract. It's also best to avoid taking Tirosint directly with supplements which contain iron or calcium as these may directly bind up the active thyroid hormone. You can see a list of other substances which interfere with thyroid hormone absorption here. These would be considered adverse or serious side effects and if you experience any of these you should seek medical care as soon as possible. ​Because of the small list of inactive ingredients many patients tolerate Tirosint quite well and generally don't complain of minor side effects like headaches, rashes, flushing, etc. This doesn't mean that you can't or won't experience any negative side effects from this medication, but it does mean that the chance of this happening is low. Any minor symptoms associated with using Tirosint are usually self-limiting which means they tend to resolve on their own within a few weeks. If you are ever worried about a side effect you feel is related to your medication then it's best to contact the doctor who prescribed the medication for you. Can Tirosint be Taken with Food or Coffee? Believe it or not, Tirosint is one of the only thyroid medications that CAN be taken with food (and even with coffee). As you probably know, thyroid patients are told that they should take thyroid medication on an empty stomach and avoid eating or taking supplements for at least 1 hour afterward. While this rule technically still applies for Tirosint, some studies have shown that eating food right after taking it, and even drinking coffee while you take it, do not alter how much is absorbed into your body. This is potentially great news if you are someone who has to have coffee in the morning. While I typically don't recommend drinking coffee before you take your thyroid medication, this might be an alternative for those people with schedules that don't really allow for a 1-hour rest after eating or right after waking up. If you take levothyroxine or Synthroid, you should absolutely avoid coffee when taking your medication. Drinking coffee can speed up your intestinal tract (from the caffeine) and reduce thyroid hormone absorption. If this sounds like you then you may want to consider switching to Tirosint. Because Tirosint is a newer formulation of T4 thyroid medication the price tends to be more expensive than other generic brands. You can use goodrx.com to get a discount on medications (even other formulations of thyroid hormone and other medications). 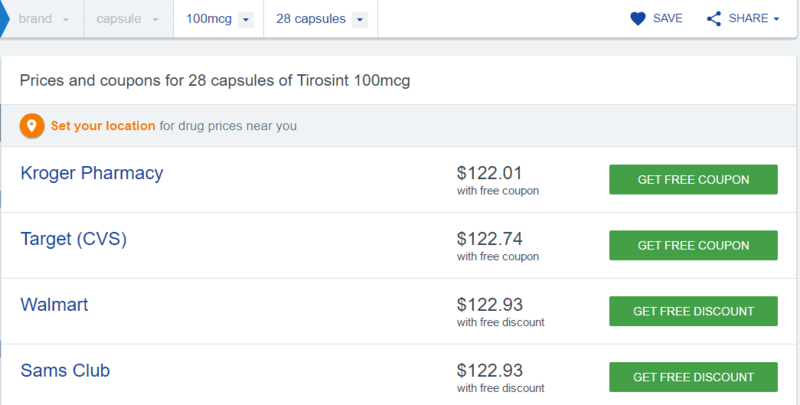 Tirosint does have coupon codes as well which can help reduce the cost down to around $35 per month. You can find more information about the coupons here. At the end of the day, paying up to $100 per month may be expensive but if it improves your quality life the price may be more than worth it. Are you doing well on your current thyroid medication? Have you considered switching to Tirosint? Is your doctor willing to work with you to switch medications? What other strategies have you tried?